La Pampa’s 2015 season is kicking off this weekend! This Saturday, April 18, from 10am to 7pm La Pampa will be grilling at EarthFest at Garden Station in downtown Dayton! This is a local DIY festival with live music, crafts and activities for the kids, and free workshops on beekeeping, beer crafting, raising chickens, installing solar panels from local experts, and more! 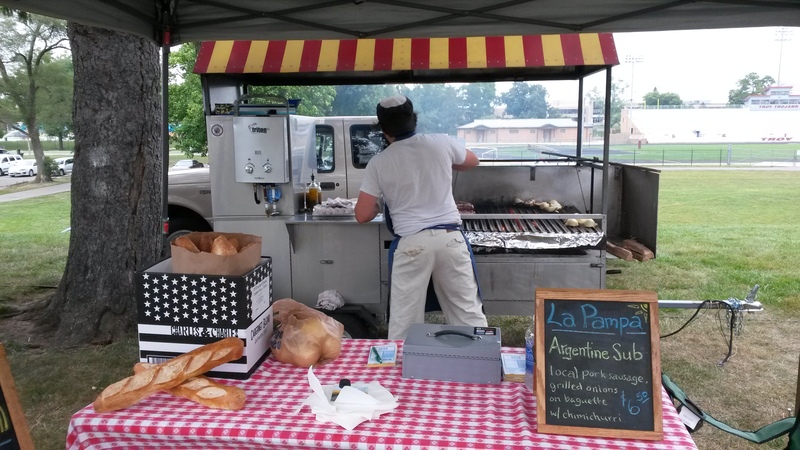 La Pampa will offer our locally sourced classic Argentine sub – the “chori-pan” – on organic baguette bread with chimichurri. To stay tuned for more of La Pampa’s upcoming spring events follow us on Facebook, here.